I have a new profound respect for the drivers of the Sita buses along the Amalfi Coast. They not only put their life in danger they are responsible for 48 others. 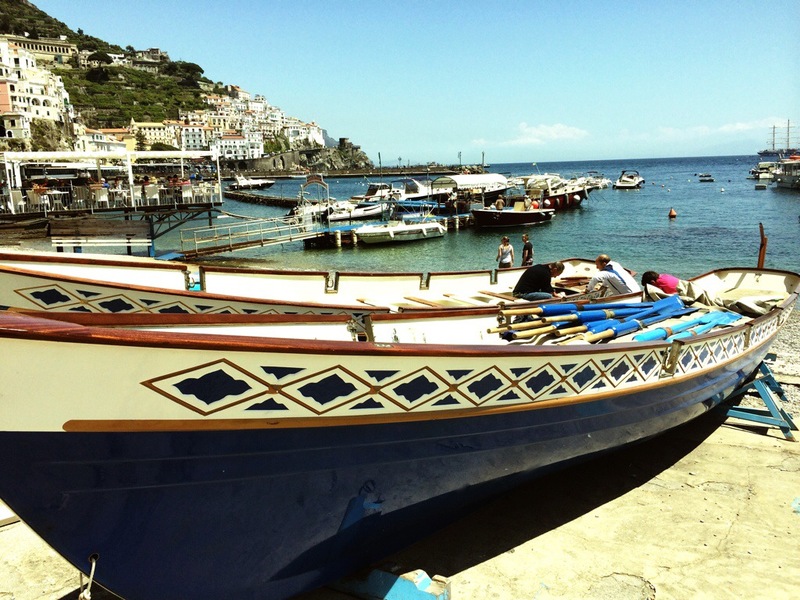 You wind and wind down the Italian coast from Sorrento to Amalfi. I never get car sick and I love heights. But this drive would put even me on the edge of my seat. 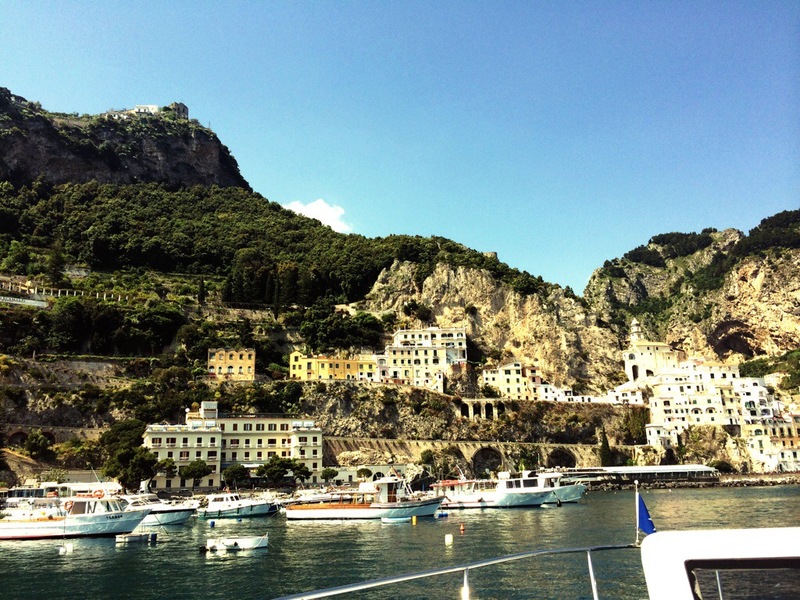 The scenic route allows you to see what everyone in the world always talks about when they mention Amalfi Coast. It does not disappoint. You need to grab a seat on the right hand side of the bus to see the beautiful sights. This is a hint that everyone on our bus already knew. We quickly grabbed the last two seats available on that side. Phew!!! Air conditioning is not a high priority and neither is space. They crammed even standing passengers on the bus. The ride is roughly two hours and only because the slow pace you have to take to survive. It is a thrill worth taking. 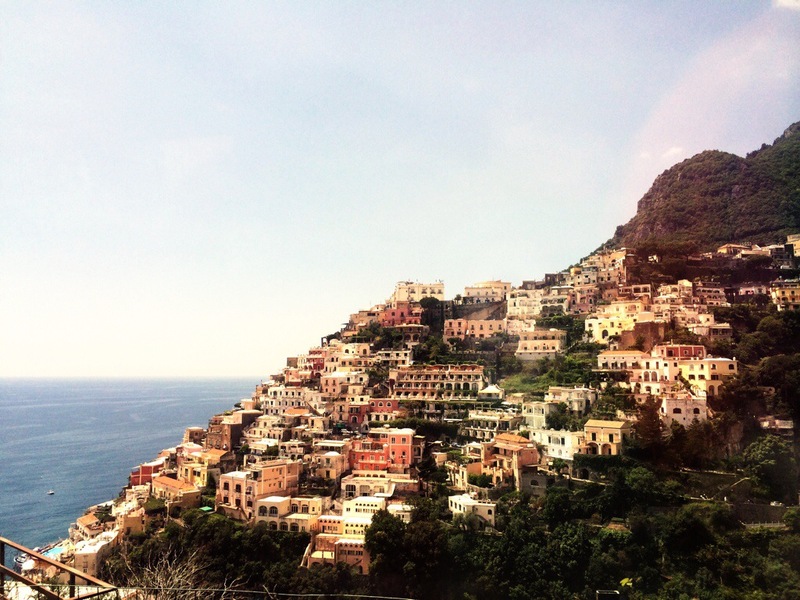 You arrive in the small town of Amalfi after passing the very popular Positano. We get off the bus beyond excited about fresh air. We explored a bit around the small plaza. The coastline of houses built into the mountains is breathtaking. We decided to walk around the marina. I always tend to gravitate toward any kind of boats. Luckily for us, we either looked confused, or just being Americans, we got invited onto a beautiful boat for wine and sunbathing. I could get use to this Italian lifestyle. It always ends up with wine, food, and lots of laughter. After hours of living the rough life, we finally got up and decided we needed to see the town. We walked and just wondered around to find ourself back at the main plaza. 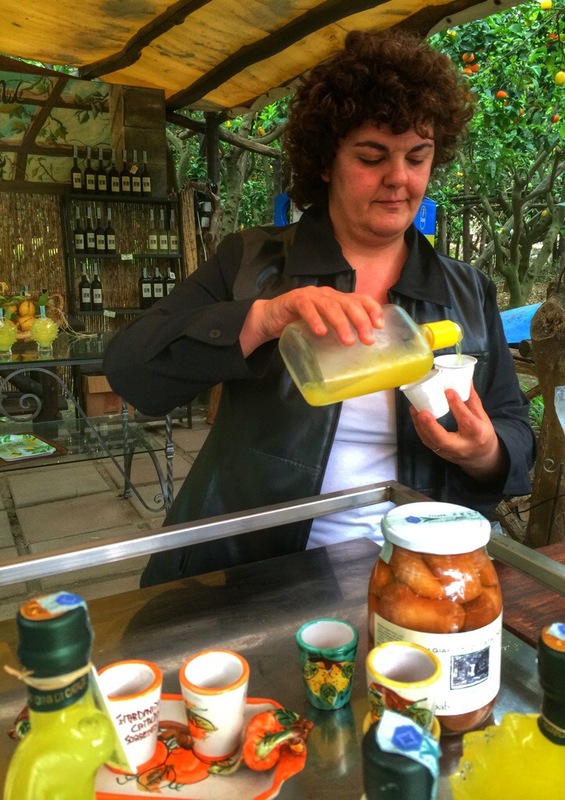 The most popular drink of the area is Limoncello. It is everywhere here and also in Sorrento. You have to try it. 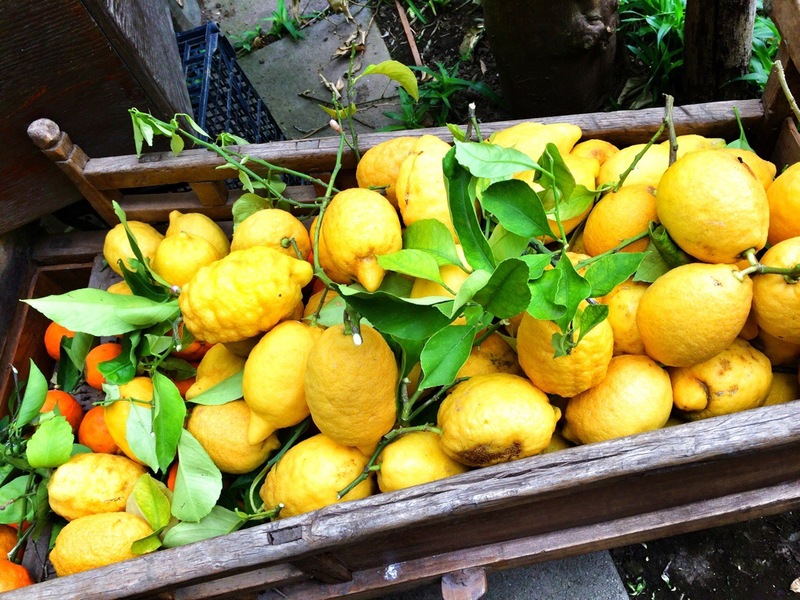 We found a lemon and orange grove the day before and did a tasting at the farm. It is delicious!! But liquid alone won’t do it. It was time for a snack. 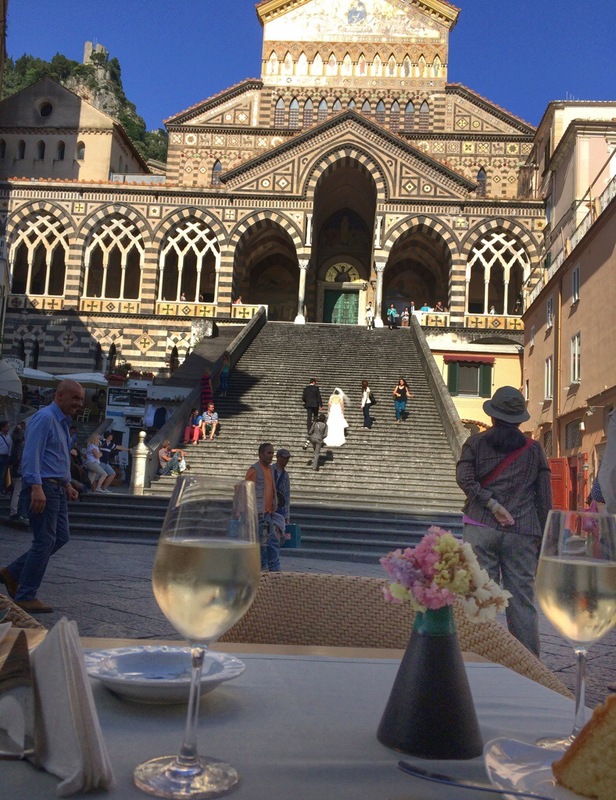 We ended up sitting at the main cafe right in front of the Cathedral of Amalfi. The most beautiful church. Moments later a bride and groom walk the street towards the church. The entire street began to applause the future husband and wife. We all got our cameras out, and I of course, got chill bumps.